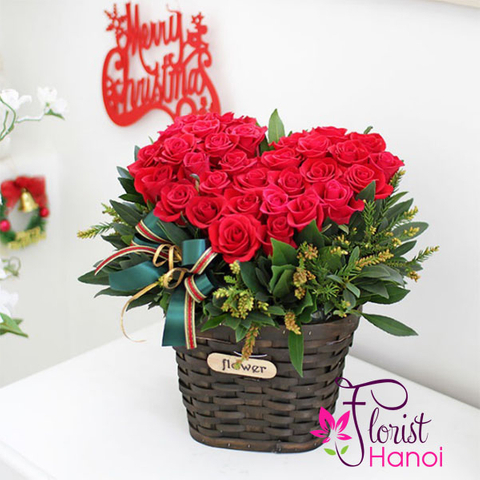 Picked fresh from the farm to help you celebrate the holiday season in style, the Christmas flower bouquet, blooms with yuletide cheer and a festive grace your special recipient will love. 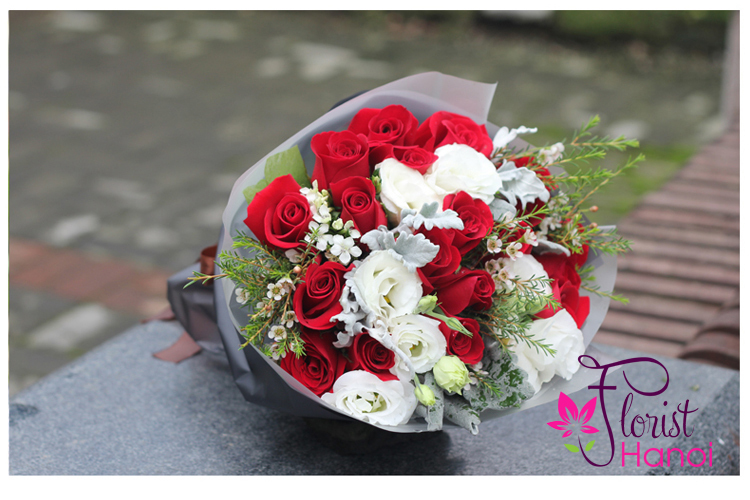 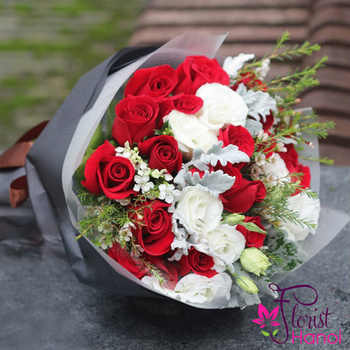 Hand gathered at select floral farms and bringing together bright reds and whites amongst lush winter greens, this stunning Christmas bouquet has been picked fresh for you to create a heartfelt holiday gift that will send your warmest seanson's greetings to your favorite friends and family. 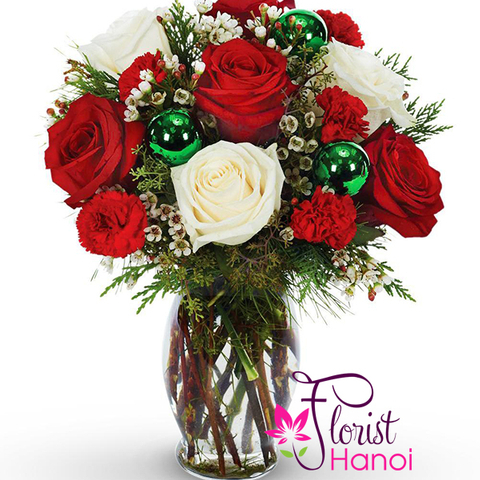 Picked fresh from the farm to help you celebrate the holiday season in style, the Joy to the World Holiday Bouquet, blooms with yuletide cheer and a festive grace your special recipient will love. 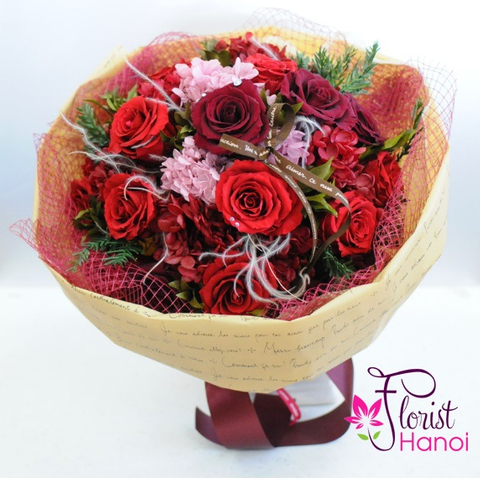 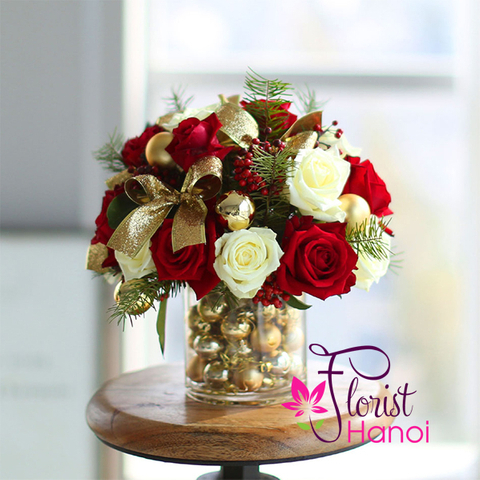 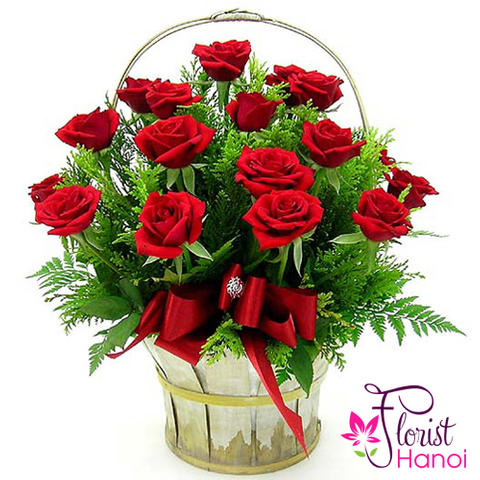 Hand gathered at select floral farms and bringing together bright reds and crisp whites amongst lush winter greens, this stunning Christmas bouquet has been picked fresh for you to create a heartfelt holiday gift that will send your warmest season's greetings to your favorite friends and family. 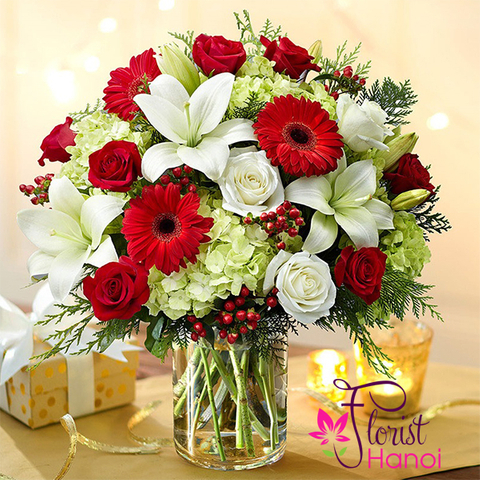 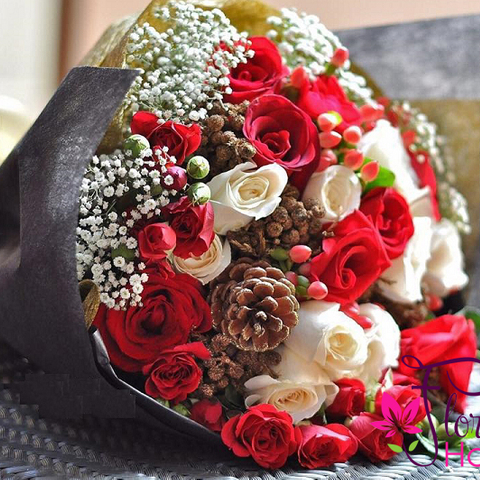 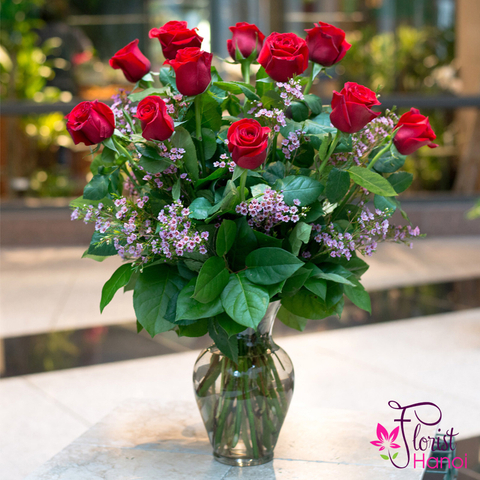 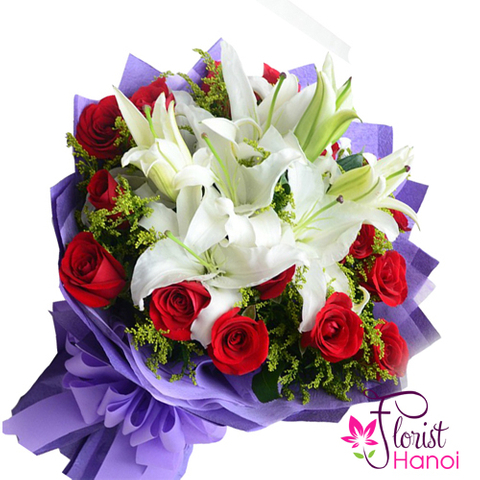 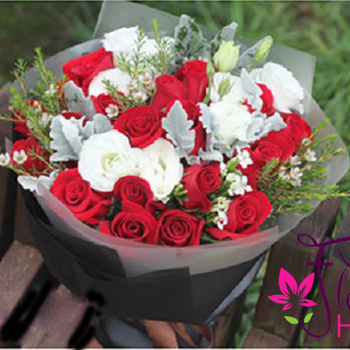 Bouquet includes: red Peruvian Lilies, red mini carnations, white chrysanthemums, white Peruvian Lilies, and lush holiday greens.